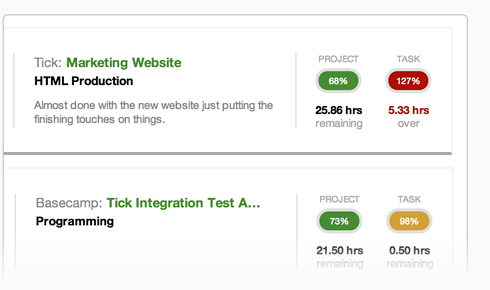 Tick's budget tracking provides increased communication about a project's time budget without hindering productivity. 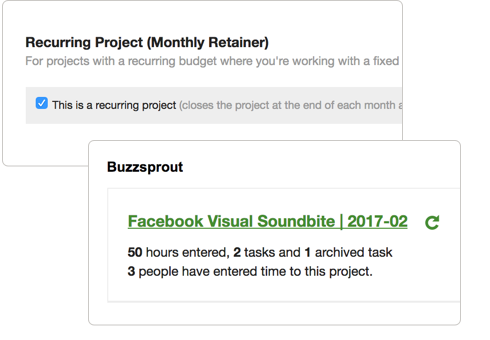 From setting up projects with tasks and budgets, to assigning team members for the work, your team can start tracking time budgets on-the-fly and identify issues before they cost you time - and money. Tick provides an easy way for administrators to look into a project and see a breakdown of the hours tracked by task and people. With details like this only a click away, checking the status of your projects takes only seconds. Give each task in a project it's own budget, so you can track employee's time against smaller budgets and identify trouble spots before they become real problems. Getting consistent budget feedback keeps everyone on track. 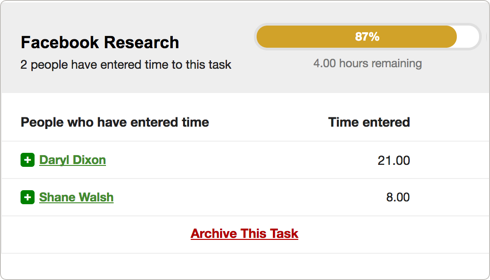 After a team member assigns their time to a task, the remaining project and task budgets are displayed. This lets them see how much time they have left to complete their work without having to constantly run reports. Some projects require the whole team and some don’t. 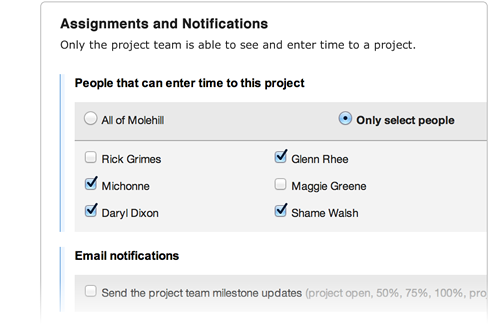 Tick makes it easy to assign the correct staff to the correct projects. This keeps things simple for people tracking their time and keeps those private projects private. 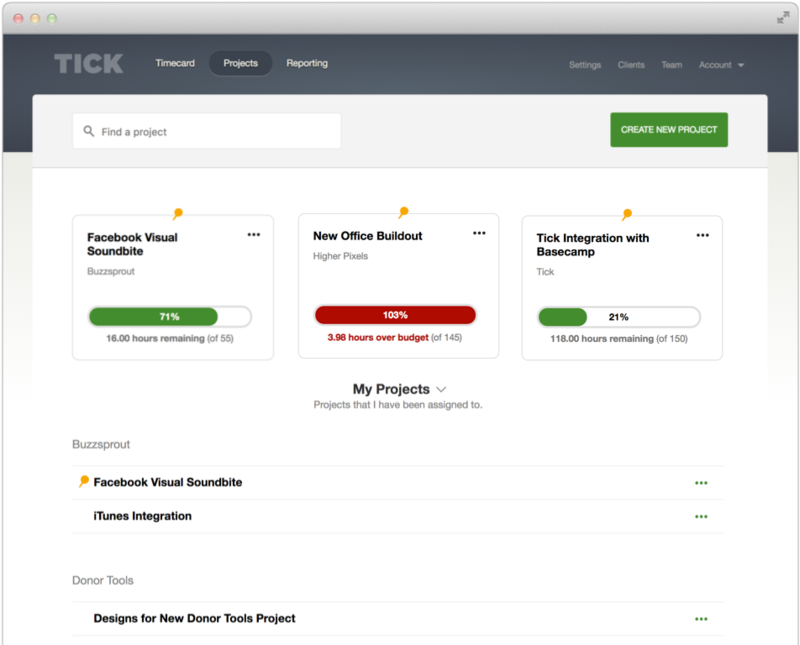 In the same vein, Tick’s permission settings allow you to give employees the project budget tracking details they need, without revealing sensitive data - like how many hours their co workers put in. Projects that occur on a monthly basis, like a retainer, can be set up as a recurring project that auto-resets every month. 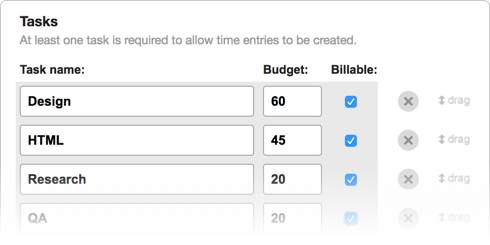 This one simple selection can save you the hassle of manually setting up the same projects each month. Details are wonderful, but they can bury you if you don't have a way of knowing where to dig in. The project overview in Tick provides a clear picture of your projects and where each one stands on budget.